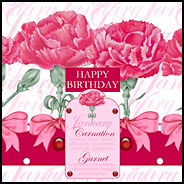 ​Make unique handcrafted birthday or occasion cards featuring the flower and birth stone of the month. 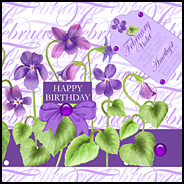 ​The kits have mix and match elements and the embellishments can also be used in scrap books and journals, as well as with gifts. 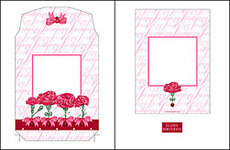 A two-part envelope is included. 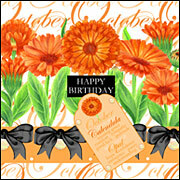 A Birth Flower and Gem card making kit with many possible variations for unique cards. 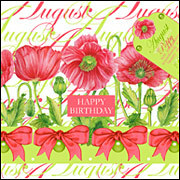 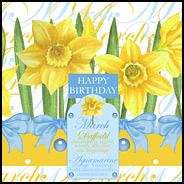 Perfect for handcrafted Birthday cards or for Mother's Day, Congratulations, Get-Well, Sympathy, cards and more. 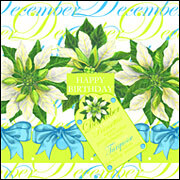 • Two background designs or gift wrap for small gifts like nice soap, candles or a charm bracelet with the month's gemstones. 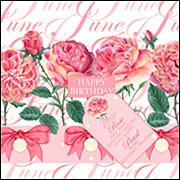 Add gift tags from the kit.